Frequent new discoveries and excellent underwater photography makes Secret Bay one of the most popular muck diving sites in Bali. 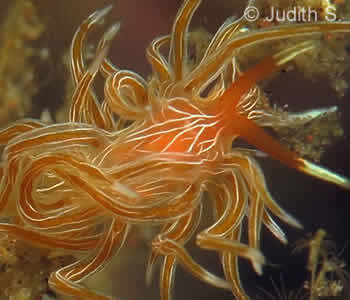 Join a Secret Bay Trip or Dive Safari for muck diving to see unusual creatures. Secret Bay (Gilimanuk) is located on Bali’s north west coast and is essentially a location for divers who enjoy muck-diving and macro-photography. AMD-B will schedule your Secret Bay diving according to the tides so pick up times and dive times may vary. This is an incredible muck-diving location and often yields a high number of new discoveries and amazing pictures. As Secret Bay is essentially a catch-tank for everything (rubbish included) that is swept through the Bali Strait, this is a great spot for unusual marine species and juveniles. Secret Bay is also excellent for Night Diving. For night diving in Secret Bay, plan to stay overnight or make this site part of an Underwater Macro Photography Safari (dive and hotel package) here in Bali. Alternatively you might like to book our WYOS (Write Your Own Safari) specifically designed for macro underwater photographers to design their own Safari.